Martin inspired so many people over the past 60 years, that he has been honored numerous times, and in many different ways, for his lasting contributions to magic, rationality, skepticism; his extensive legacy of communication of mathematics, science, and much more. Many people have gone on record over the decades—in book forewords, dust jackets, and reviews, and in essays, appreciations and obituaries—with kind words about him and his legacy. A testimonial harvesing initiative has attracted some wonderful reflections, and everyone is welcome to contribute to it. In his lifetime, Martin received severable notable awards, including two honorary degrees. In 1993 and 1996, there were mini-conferences held in his honor in Atlanta, which he attended, along with his wife. 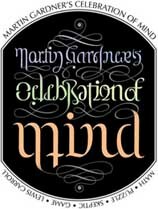 From 1998 onwards, these by-invitation Gathering 4 Gardner (G4G) conferences grew in size and scope, being held every two years in the spring, while remaining true to the original vision of uniting puzzlers of various stripes with magicians and mathematicians, to have fun in the spirit that Martin's writings exemplified. These G4G meetings in turn gave rise six of the nine books of tribute papers that have so far appeared. Following Martin's death in May 2010, the G4G spin-off Celebration of Mind initiative was launched. These events can be formal or informal, and are free and open to all, to attend or host. They may be held anywhere in the world, preferably on or around 21 Oct (Martin's birthday). Several journals and magazines have had special issues in his honor. There have also been a significant number of affectionate graphical tributes to Martin over the decades. In recent years, the puzzle people at the New York Times have been exceptionally generous in paying tribute to him and working to keep his memory alive.